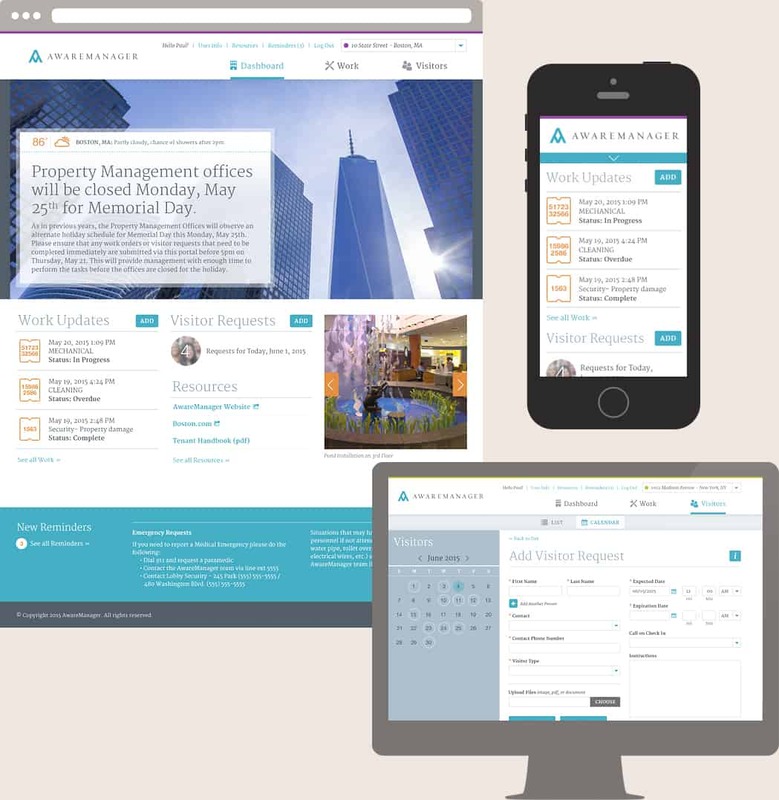 AwareManager provides mobile and software applications to help clients in the commercial and corporate real estate, healthcare, and stadium industries deliver the best tenant, employee, and guest experiences possible. The challenge was to modernize its user interface and make things functional yet visually appealing. The resulting, responsive redesign of its web-based portal enables users to log in and manage work requests, add visitors, and see building notifications and information from one clean and welcoming central hub—all without picking up a phone or stopping by a help desk.